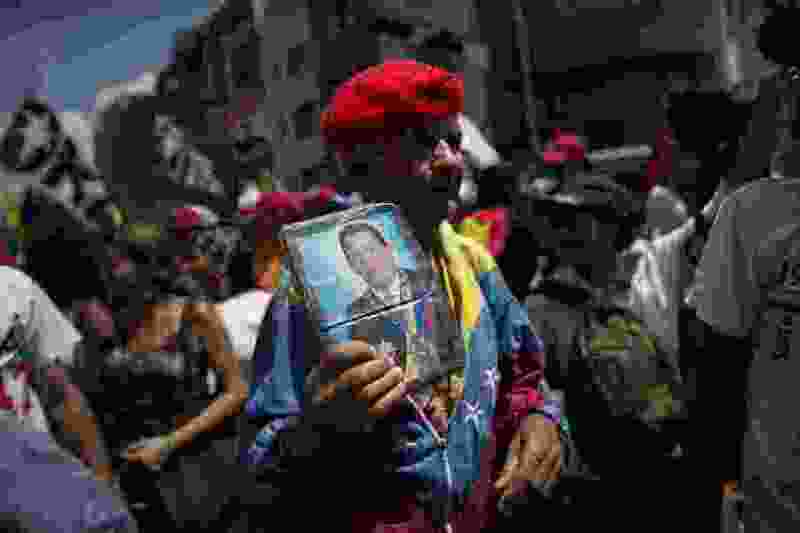 (Ariana Cubillos | Associated Press file photo) A supporter of Venezuela's President Nicolas Maduro holds a picture of the late President Hugo Chavez during an anti-imperialist march in Caracas, Venezuela, on March 16, 2019. Many were clad in red, the color associated with the movement led by Chavez, the former military officer who declared a socialist "revolution" after coming to power in 1999. Democratic socialists believe that both the economy and society should be run democratically — to meet public needs, not to make profits for a few. To achieve a more just society, many structures of our government and economy should be transformed through greater economic and social democracy so that ordinary Americans can participate in the many decisions that affect our lives. Few countries have been entirely socialist. Fox News commentators and other voices on the right conflate socialism with communism. Current progressive politicians are advocating democratic socialism, many aspects of which mirror successful reforms implemented in other democracies — taxation of billionaires, public health insurance, free post-secondary tuition, perhaps more government involvement in the energy sector, etc. There is a difference between democratic socialism and communism. Let’s not confuse opinion with facts. “There is a cult of ignorance in the United States, and there has always been. The strain of anti-intellectualism has been a constant thread winding its way through our political and cultural life, nurtured by the false notion that democracy means that my ignorance is just as good as your knowledge,” Isaac Asimov wrote.